Professor Yurish is a president and co-founder of International Frequency Sensor Association (IFSA) and Sensors Web Portal, Inc. (Canada). He is an Editor-in-Chief of Sensors & Transducers journal, Magazine (e-Digest) and IFSA Newsletter. 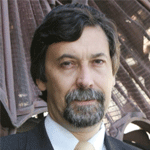 Sergey Yurish was a Marie Curie Chairs Excellence investigator in Technical University of Catalonia (UPC, Barcelona, Spain) in 2006-2009, where he has lead and developed one of the most successful projects in the UPC on Smart Sensors Systems Design (SMARTSES), totaling 425,000 EUR. His professional accomplishments also include Senior Research Fellowship at Open University of Catalonia (UOC, Barcelona, Spain) where he spent a one year in 2009 - 2010. Prof. Yurish has over 25 years of research and academic experiences during which he has developed numerous projects on international level in frames of various programmers, including NATO, FP6 and FP7. He was a Head of R&D Department in Institute of Computer Technologies, UA in 1999-2002. His research interests include self-adaptive intelligent sensors systems, novel methods for frequency measurements and adaptive frequency-to-digital conversion. The future plans include research and developments in the area of smart sensor systems integration platform. Sergey Yurish is an author of three articles, which have received the Best Articles Awards in 2007-2009 and a paper receiving the Best Paper Award at the 2nd International Conference on Advances in Circuits, Electronics and Micro-electronics 2(CENICS) IARIA conference in 2009. Prof. Yurish is an Advisory Chair of SENSORDEVICES’ 2010, SENSORCOMM’ 2010 and CENICS’ 2010 IARIA conferences and a member of Technical Program Committee of CENICS’ 2008, 2009, 2010 and SENSORDEVICES’ 2010 conferences. He has also served as an International Advisory, Scientific and Programme Committee member of numerous other conferences such as Programmable Devices and Embedded Systems (PDeS), International Conference on Control, Instrumentation and Mechatronic Engineering (CIM), International MEMS Conference (iMEMS) and IEEE International Workshop on Intelligent Data Acquisition and Advanced Computing Systems: Technology and Applications (IDAACS), and has also contributed as keynote speaker. He holds 9 patents and has published 160 research papers and articles in peerreviewed international journals, workshops, conferences and symposiums, including four books published by John Wiley & Sons, Kluwer and Springer. Prof. Yurish is a member of IMEKO Technical Committee TC7 ‘Measurement Science’, regional representative of Electrical Journal and a member of various professional organizations.